Professional-use liquid detergent powerfully cleans dishes to create a sparkling shine. Heavy-duty detergent is developed for manual dishwashing. DfE formula is tough on greasy soils and does not leave behind any film or residue. 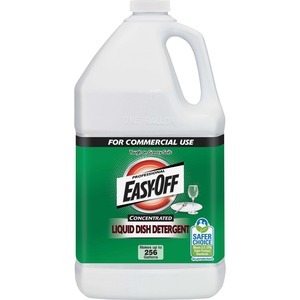 Concentrated detergent makes up to 128 gallons and is perfect for use with Lysol No Rinse sanitizer for three-bin sinks (sold separately).